The new year can bring on a lot of fun and change, but it can also be a time of planning. Do you have dental insurance? Did you know that each year, billions of dollars in insurance benefits are wasted because they aren’t used by December 31st? The best way of utilizing all of your benefits is to plan out your year of dental care in January. Keep reading to learn some easy tips to get the most out of your dental insurance in Asheville for the New Year. Do you know your annual maximum? This is the most amount of money that your insurance is willing to pay for your dental work in one year. Most maximums are around $1,000, and those benefits won’t rollover into the new year. The key is to know your maximum and to try to reach or exceed it by December 31st to get the most out of your benefits. Your deductible is also another figure to keep in mind. This is the amount of money your insurance requires you to pay before they will help with costs. Visiting your dentist early in the year can benefit you in three ways. First, it makes sure you’re staying on top of your oral health by preventing and detecting any early signs of dental issues. Second, it’s the best way to figure out what types of dental care you may be needing in the upcoming year. Once you see your dentist, their office will be able to develop a treatment plan for your smile. Now, you’ll know what treatments you may need, the costs, and whether or not those services are covered by your insurance. Finally, preventive visits are usually 100% covered by insurance plans to focus on preventing issues before they get more serious and expensive. That’s why seeing your dentist early on for checkups and cleanings are a great way to cash in on your hard-earned dental dollars. Besides saving money and using your insurance benefits, seeing your dentist can be lifesaving. Your dentist checks for dental issues like cavities and gum disease that will only get worse with time, but they also check for problems like oral cancer. This disease typically can’t be detected with the naked eye and your dentist has a special tool to detect it. They will also use X-Rays to take an inside look at your teeth to prevent more extensive and expensive procedures down the road. Are you ready for 2019? 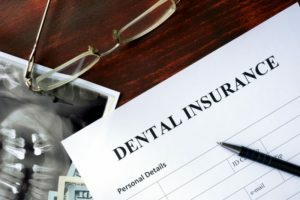 Use these tips to make sure you’re getting the most out of your dental insurance plan and taking care of your oral health. Dr. John White was born and raised in Asheville, where he loves caring for his patients. He takes pride in accepting a variety of insurance plans as well as financing options to provide quality and affordable dentistry. He currently runs his own practice, and he can be contacted through is website or by phone at (828) 684-3020 for any questions.